Auction 8th–19th March online. Viewing 14th–19th March, Iso Roobertinkatu 12, Helsinki. 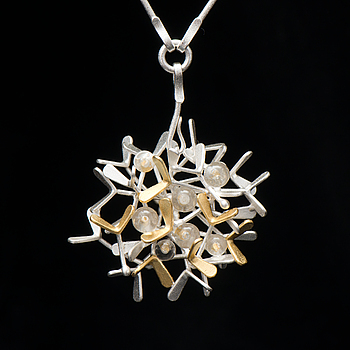 A CHAO-HSIEN KUO PENDANT, "Flying seeds / raindrop pendant", silver, keum-boo 24K gold foil, rock crystal, 2015. 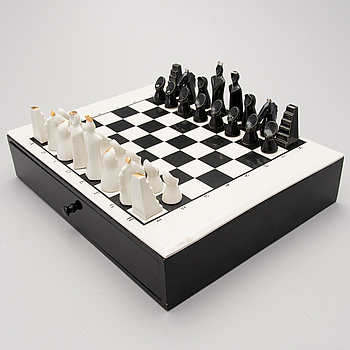 A CHESS SET, signed Pauli Partanen, Arabia Finland. 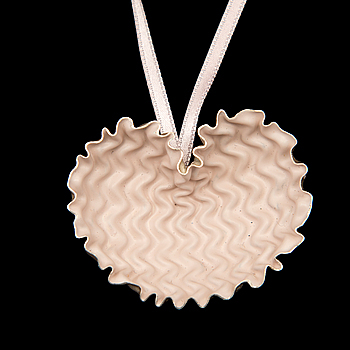 AN INNI PÄRNÄNEN PENDANT, "Shelter", etched white silver, paint, 2010. A glass sculpture signed Markku Salo Nuutajärvi Notsjö, 1988. 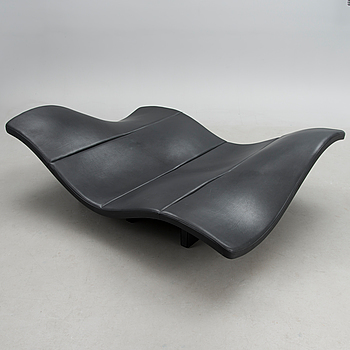 ERNST & JENSEN, a "EJ 142 Waves sofa" for Erik Jørgensen, Denmark 1998. A JANNA SYVÄNOJA BROOCH, recycled paper, steel wire, 2008. A 21st century 'Illusion' by Hareide Design for Northern Lighting, Norway. SUSANNE GOTTBERG, "WHITE CUBE ON BLACK". A glass sculpture and portfolio Nuutajärvi Finland 1995. 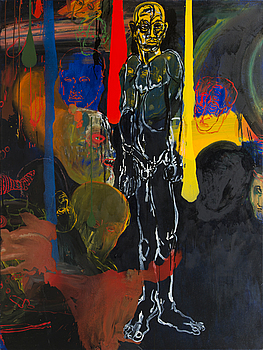 JANI LEINONEN, "FOR I WAS HUNGRY". JORMA PURANEN, "SHADOWS, REFLECTIONS AND ALL THAT SORT OF THING #37". A 21st 'Ben Hur' armchair for Roche Bobois. 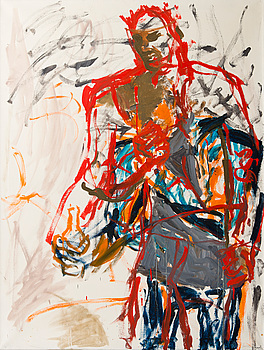 MICHAEL PYBUS, "THE MEDIUM IS THE MASSAGE". A porcelain vase signed Heini Riitahuhta 2005. An 'Alue' Pro Arte glass sculpture signed Harri Koskinen, Iittala 2000 3/30. "THERE IS NO REGRET IN THE CANDY LAND". A glass sculpture signed 2010 Ritva-Liisa Pohjalainen 1/20 Tasapaino lila - lila. A glass sculpture signed Pauli Partanen 2011. A glass sculpture "Under the Sky" signed Taru Syrjänen 1989 1/1 Iittala. A Finnish long pile rug by The Friends of Finnish Handicraft. 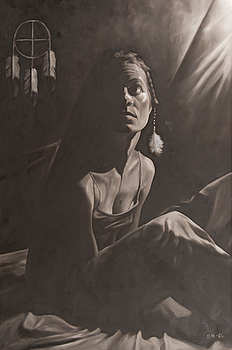 Circa 140x97 cm. A decorative egg signed Heljä Liukko-Sundström, Arabia 1991. TANELI ESKOLA, "DRAGON WAKING UP". RAILI & REIMA PIETILÄ, reading table Asko and Speval 1986. RIITTA-MAIJA OKSANEN, A four part rya rug for Helmi Vuorelma, Finland. 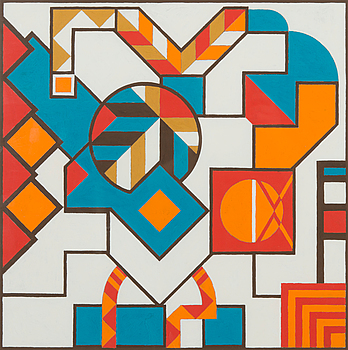 PERTTI KEKARAINEN, "TILA (Four Spaces)". A' TZ' sofa for Artzan, Finland. Designed 1984. "EVEN BANANA SPLIT DIDN'T MAKE THE MONDAY DISAPPEAR". A 'Lago' art glass signed Kerttu Nurminen, Nuutajärvi Notsjö. gelatin silver print, signed and dated -78. A pair of 'Fly Me' chairs for Martela, Finland. Designed 2008. A 21 st century prototype tablelamp 'Fredrika's dream' for KJM-Tuote, Finland. RAILI & REIMA PIETILÄ, set of four chairs for Asko 1986. A graal vase signed Sini Majuri 2016. A glass sculpture signed K. Nurminen, Nuutajärvi. A glass sculpture signed 2010 Ritva-Liisa Pohjalainen 1/20 Niityllä/ Tasapaino sini - lime. OLA KOLEHMAINEN, "STAIRCASE" (New Taganawa Prince Hotel). RAILI & REIMA PIETILÄ, table, Asko 1986. A JANNA SYVÄNOJA NECKLACE, recycled paper, steel wire, 2010. A MARIA JAUHIAINEN BROOCH, "cloud of Hearts", steel, 24K gold leaf, 2018. 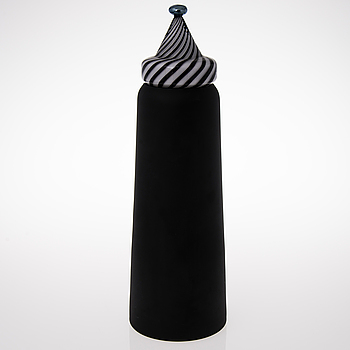 A graal vase signed Sini Majuri 2015. A pair of 21 st century '1627' pendant lights for KJM- Tuote. RAILI & REIMA PIETILÄ, a coat rack, Oulun Puukaluste 1986. A 'Donna' vase signed Markku Salo, Nuutajärvi. AN INNI PÄRNÄNEN RING, "Shelter", etched white silver, paint, 2010.